Increase functional strength throughout the body with these heavy-duty looped resistance bands. 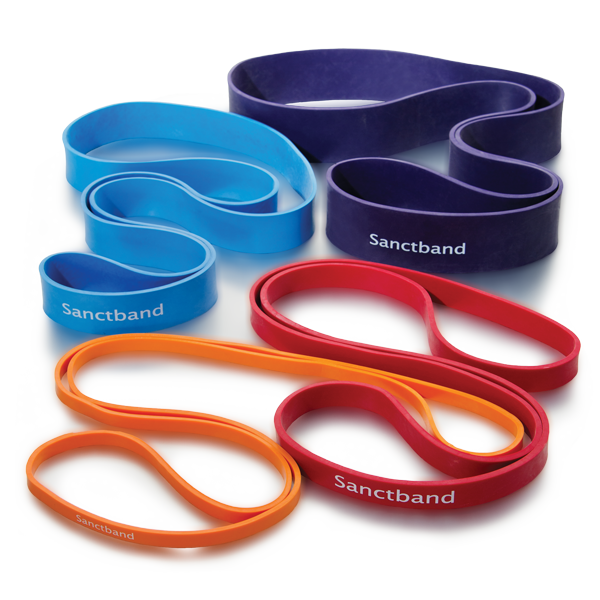 The Sanctband Super Loop Bands are designed to provide a heavier level of resistance for advanced training. Larger and thicker than the standard Sanctband Loop Bands, these bands allow for a wide variety of challenging strength training and conditioning exercises that enhance athletic performance. The continuous loops are ideal for both upper and lower body exercise, and also work well for partner training. Personal and athletic trainers can easily incorporate the Super Loop Bands into current routines to improve strength, power, explosiveness, balance, flexibility and range of motion for their clients. * Sold individually; single band per package. Product contains natural rubber latex.